Applications must involve at least two partners: one of the partners shall act as lead applicant and the other(s) as co-applicant(s). Applicants must be established in the seven targeted countries. Applicants must be legally registered organizations, i. e. non-profit organisations, public body, local authorities, SMEs or other economic operators working in the film or audiovisual sector as their professional core activity. Lead applicants must be directly responsible for the preparation and management of the project proposal with their partners, not acting as an intermediary. Lead applicants must have a valid bank account registered under their legal name. All applications must be submitted in English, the official language of SouthMed WiA. All official documents submitted in Arabic must include a translation into English or French. Projects shall allocate 12,5% of the grant to activities related to mobility and capacity building, including the attendance of minimum two representatives to networking events and trainings across the region and/or other countries in Europe, which will be coordinated by SouthMed WiA team throughout the project implementation. All applications must have an external audit assigned to the project proposal and forecast 2, 5% of the total budget to this end. The total cost of the audit shall no exceed 3000 EUR. Links with local, international and Euro-Mediterranean audiovisual networks will be considered as a positive factor insofar they are an added value for the implementation of the project. The selection will take into account the regional dimension of the project by ensuring as wide geographical coverage as possible. Applications involving at least two partners established in two different countries among the seven targeted countries, will be positively assessed. The involvement of at least 50% of women in the staff of the applicant organisations. The projects shall start as of October 2017 and terminate by February 2019. Research on the gender approach in the audiovisual translation and proposals on how to better integrate it. Targeted training for female film professionals from the region to improve their capacities and support their access to markets and networks at local, regional and international level. Collaborative actions involving schools, universities, script doctoring, audiovisual training institutions, public or private organisations active in the film sector, contributing to support a gender equality approach in their local environment. Projects intended only to raise funds or promote the visibility of the applicant or its partner(s). The eligible countries are Algeria, Egypt, Jordan, Lebanon, Morocco, Palestine, Tunisia. Actions and activities under this grant shall not generate profit for the Beneficiary(ies). Profit is defined as a surplus of the receipts over the eligible costs approved by the Contracting Party when the request for payment of the balance is made. Grants may cover 20% to 80% of the total eligible costs of the project. They comply with the requirements of applicable tax and social legislation of the applicant’s country. The eligible indirect costs are related to the functioning and general activities of the grant beneficiaries: they cannot be attributed entirely to the implementation of the project, but are still partially generated by it (e.g. costs connected with infrastructure, legal advice, documentation, IT, office supplies, communications, etc.) . These costs are to be funded on a flat rate basis not exceeding 7% of the direct eligible costs. The co-financing may take the form of the applicant’s own resources (self-financing), the income generated by the project, and financial contributions from third parties. The main applicant, if awarded with a grant, must duly justify and declare all the expenses as well as the funding from SouthMed WiA and the total co-funding in the final report. Regarding in-kind contributions, the main applicant, if awarded a grant, must declare that these contributions meet the local market prices and provide the detail of unities, working hours and unit costs in the final financial report. The SouthMed WiA Project Steering Committee (PSC) will provide advice to grant beneficiaries on issues such as management, dissemination and networking, in order to ensure the correct implementation and management of the project. a final instalment, equivalent to 20% of the approved grant, will be made at the end of the project, following the effective completion of activities, submission of technical and financial documentation and completion of an external audit, and following written approval by the contracting party. Instalments will be paid by bank transfer only to grant beneficiary’s bank account (lead applicant). This information is to be considered indicative; the payment conditions will be further specified in the contract with the beneficiaries of the projects. The grant beneficiary will submit, by electronic form, a mid-term technical and financial report presenting the implementation of half of the project duration: description of the main activities, target groups reached, current and potential networking partners, attendance to capacity building and other training activities, and samples of communication and dissemination of the project as well as contacts with the EU delegations in the region. It will also include an audit report with an updated budget reporting the verifiable costs and the implementation period. The email address for the submission of the reports is: [email protected]. 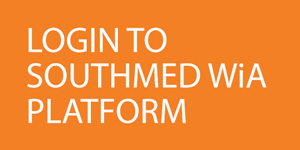 The grant beneficiary will upload any communication and dissemination material (Press releases, banners, posters, flyers, invitations, photos, videos etc…) on the SouthMed WiA platform, throughout the implementation of the project. Grant beneficiaries must acknowledge the EU contribution throughout the project implementation (e.g. press releases, publications, posters, programmes, audio-visual material, website and social media dissemination, etc.). To this end, the contracting party will provide communication guidelines for the visual identity to the SouthMed WiA grant beneficiaries. Please click here to download and read carefully the communication guidelines (914 KB). The contracting party reserves the right to use, disclose, reproduce and distribute the content and outcomes of the funded projects. Deadline: Applications must be uploaded online no later than 15 September 2017, at 21:00 (GMT). Applications shall be submitted in English. Any question related to the preparation of the application may be sent by e-mail until 21 August 2017  to the following address: [email protected]. After this date a document with the frequent asked questions (FAQ) will be published on the website of SouthMed WiA. On 2nd October 2017 , the results of the evaluation process will be notified via email to all the applicants, and will be published via the SouthMed WiA information channels. This date is to be considered indicative.